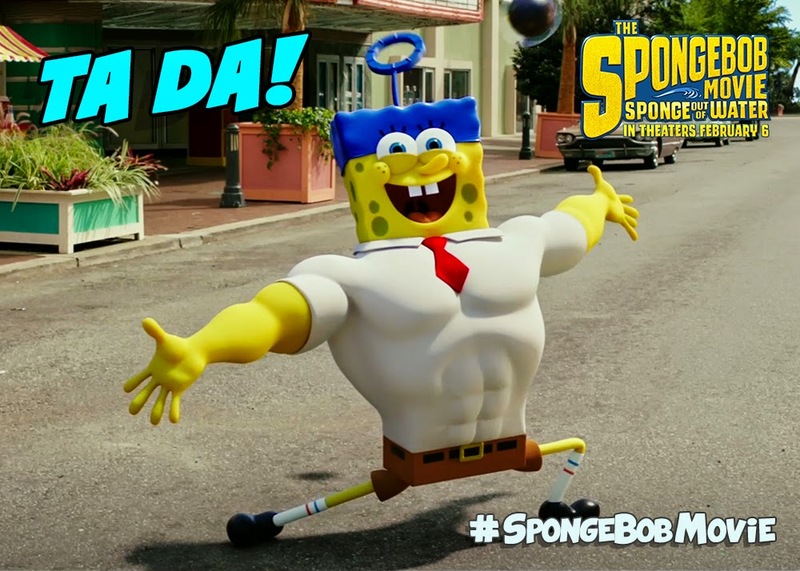 Are your kids driving you nutty to see the new SpongeBob movie? Is it worth going? Find out what we thought about the newest movie. My girls have been fans of SpongeBob since they were little. 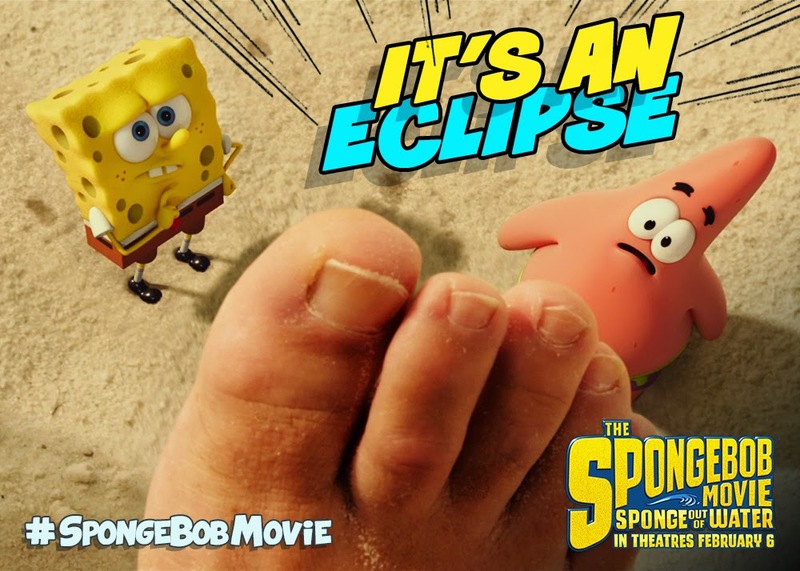 I was a little hesitant about seeing it, because I thought that the 2004 SpongeBob movie was not a good flick. Our families got a sneak peek last weekend. We were able to see the film in 3-D. I highly recommend seeing it in 3-D. The special effects were amazing. Check out the trailer to find out what the movie is all about. My girls were a little disappointed that SpongeBob wasn't out of the water the whole movie. Most of the movie is animated. I think my 12 year old daughter enjoyed it more than my 8 year old. She kept saying "Mom, if I was a little kid I would love this movie." In other words, she loved it and wouldn't admit it, because she thinks she is now too old for kid movies. But I disagree, you're never too old for animation. I loved that Antonio Banderas was the pirate. He did such a great job. He played the pirate role to perfection. 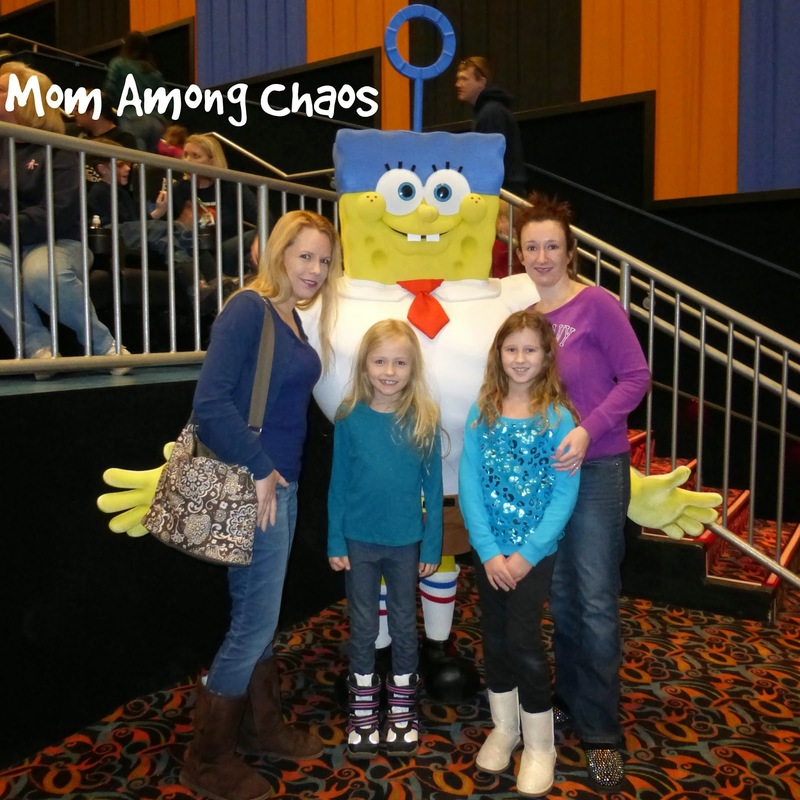 The Mom Among Chaos girls with SpongeBob. I took my teen son & youngest daughter to the movie pre-screening. My middle daughter still wants to see it, but she was at play practice that day. My favorite part was the beginning, when the pirate was going through the jungle, the 3D glasses made you feel like you were right there with him. At another point in the movie both of my kids were grabbing at something flying off of the screen. It is definitely worth seeing it in 3D if you can. I heard the kids laughing throughout the movie. There was even one point where I laughed out loud. The songs are kind of cheesy, but in a kids' movie that's to be expected. One thing that I kept thinking, as I was watching it, is that it reminded me of classic cartoons, like Looney Toons. The SpongeBob Movie: Sponge Out of Water, hits theaters today, 2/6/15. You can find lots of fun SpongeBob items related to the movie by visiting HERE. 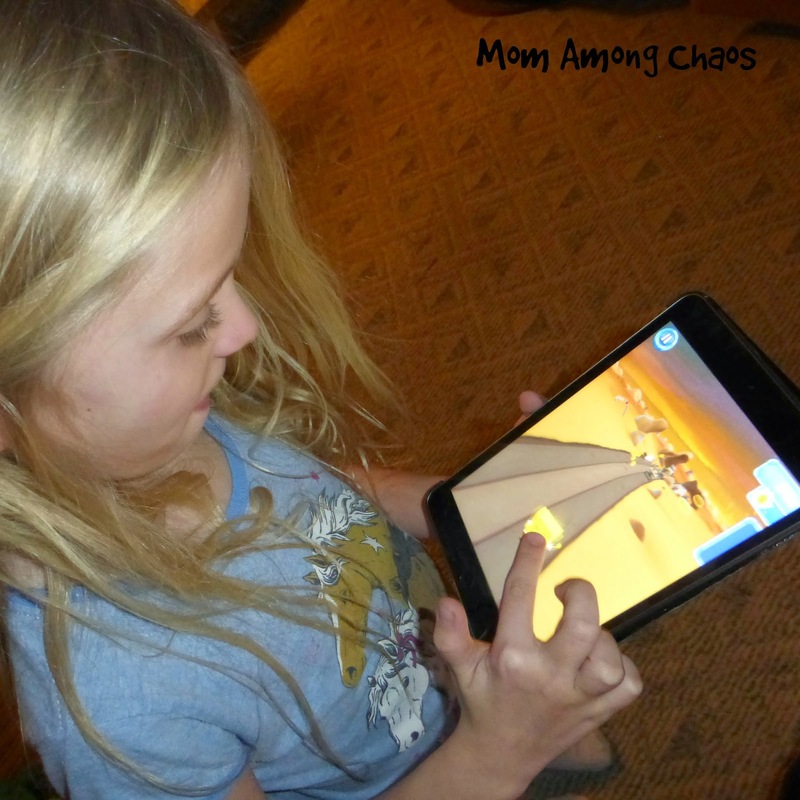 Make sure to read our game review & enter to win a copy of the SpongeBob app. HERE. Giveaway ends at midnight!